Breakfasts at the 1899 Inn are served daily in the formal dining room, which gets direct morning sunlight through east-facing bay windows. Meals are served on antique china and silver from the estates of local families. 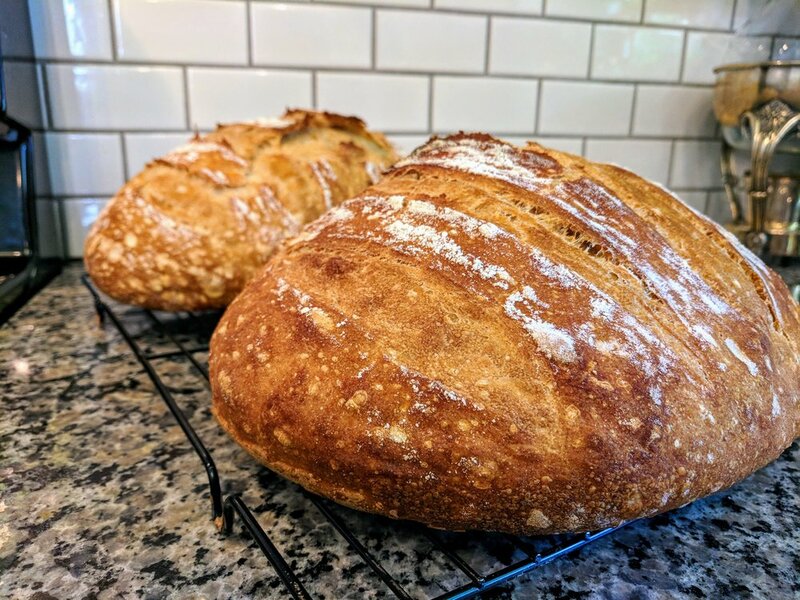 Fresh sourdough bread from scratch is baked daily in our kitchen. The menu is chef's choice and varies on a daily basis. While we can’t always guarantee a specific dish, we can accommodate special dietary requests - including vegetarian, vegan, low-sugar, and gluten free - with 48 hours advance notice. Baked French Toast. Our signature dish. It has a creamy bread pudding texture with a buttery crunchy topping. Served with pork sausage and fresh fruit. Ham and Swiss Frittata with Parmesan Crust. This creamy quiche-like dish is a guest favorite. Served with sourdough bread baked fresh in-house daily and fresh-cut fruit. Lavender-Poached Pears with Yogurt, Granola & Honey Drizzle. Anjou pears poached with a blend of lavender and ginger, topped with vanilla bean yogurt, granola, and drizzled with Montana honey. Served with fresh-baked croissants, house sourdough bread, seasonal jellies, assorted cheeses, charcuterie, and fresh-cut fruit. Omelets. Made to order. Ingredient choices vary, but usually include bell pepper, spinach, mushrooms, onions, swiss cheese, cheddar cheese, bacon, and ham. Seasonal vegetables and cheeses may also be available. Served with sourdough toast and fresh fruit. Biscuits and Gravy. Fresh-baked made-from-scratch buttermilk biscuits served with our own pork sausage gravy. 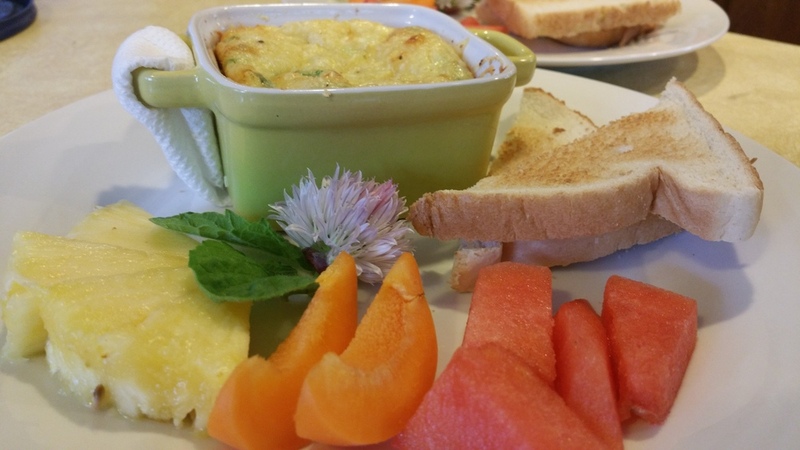 Served with fresh fruit and eggs to order. Southwest Breakfast Hash. Fried diced potatoes, onions, peppers, and pork sausage, served with eggs to order. Choice of sourdough toast, baked fresh in-house daily, or tortillas. Served with salsa, cheese, and fresh-cut fruit. Pan-Seared Coconut Oats. Steel-cut oats made with coconut milk and pan-fried. Served with honey-poached blueberries or dates, with optional fresh sourdough toast, pork sausage, and cut fruit on the side. Our signature dish for gluten-free and dairy-free diets. Most dishes are garnished with fresh-cut herbs from the house kitchen garden. Breakfast is served with a wide selection of teas and locally-roasted drip coffee. Fruit juice, milk, and water are also available. Teas and Starbucks Via instant coffee are available 24 hours a day in the dining room at the fast-boil electric kettle.